I will be checking Smashwords (https://www.smashwords.com) very carefully in the future. I recently finished the first novel I bought there, and was pleasantly surprised: in his spy yarn, Severance Kill, author Tim Stevens knocks the ball right over the deepest part of the left field fence. The book’s hero is Martin Calvary, the most secret kind of secret agent that exists in spy fiction: a guy who works for a British agency, The Chapel, that is so obscure even the people in British intelligence have never heard of it. Calvary is sent to Prague to assassinate a retired MI6 hand named Ivor Gaines who is suspected of selling out the Brits to the old Soviet Union. This task is made more challenging because Gaines is kidnapped by a Czech organized crime group before Calvary can terminate him. The spy has to spend most of the rest of the novel trying to track Gaines down, a hunt complicated by the fact that his agency is not the only one looking for the suspected mole: also on the chase are the Russian secret police, who have made Gaines a top priority target for some “wet” work of their own. The pursuit occurs at breakneck pace, with violent episodes aboard a Czech passenger tram, a bookstore, a café, a hospital, a public park and a half dozen other sites. Calvary remains steadily one half step behind his opposition, but the guy is so good at mayhem that the fact he is playing catch up throughout the book hardly seems to be a disadvantage. In the background is always the open question: what will Calvary do when he finally does catch up to the suspected mole? Will he kill Gaines? Turn him over to the Russians? Let him go? 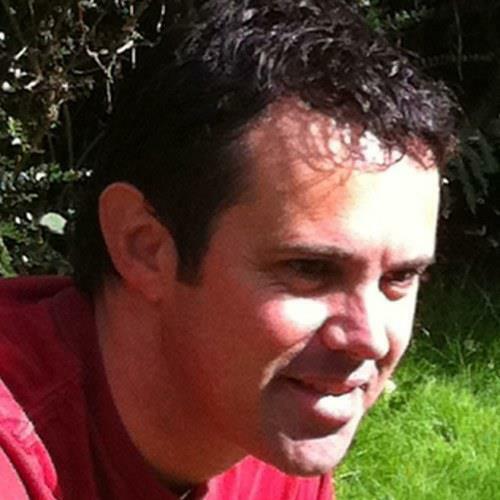 To Stevens’ credit, he manages to make the outcome uncertain until the very end of the book. 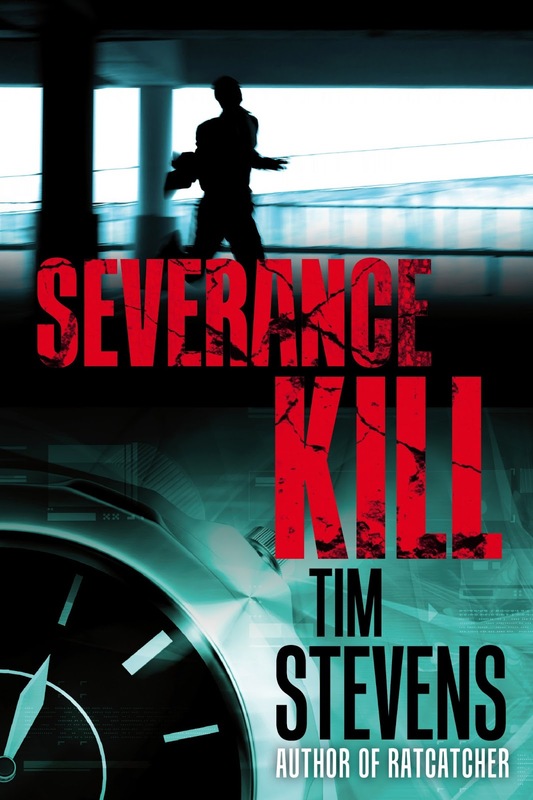 Severance Kill has everything you want in a spy novel: plenty of exotic atmosphere, political cynicism, a menacing aura of menace, automatic weapons, high speed vehicular chases and a body count large enough to have changed the outcome of the Vietnam War. There is even a hint of romance between Calvary and a young Czech woman who becomes enmeshed in the action. In addition to the frantic pace and high-stakes violence, the novel is driven by a series of subplots and back stories that add just enough intrigue to augment the action. How did Calvary come to be recruited by The Chapel? Who really is the double agent? Will the plucky activists trying to publicize the Czech underworld succeed or will they be wiped out by the gangsters beforehand? What drives the aging female Russian intelligence bureaucrat who is trying to grab Gaines and rub Calvary out in the process? And last but not least, will Calvary succeed in making this “one last job” his means to escape from his unscrupulous and underhand Chapel bosses? Severance Kill is a real throwback – an old-fashioned page-turner filled with chills, thrills and suspense with a minimum of psychoanalysis and a blessed absence of bedroom scenes. It is short, sweet and to the point, and offers a perfect diversion for the armchair espionage fan who wants to spend a few highly enjoyable hours reading a tightly-plotted adventure yarn. A couple of writing quirks gave me pause, including Stevens’ reference to bullet holes “spackling” the windows of automobiles (every definition of “to spackle” I could find involved filling holes, not making them). But the book is remarkably free of bad writing and editing, which made it a pleasure to sit down and wolf through like a hungry man eating a blood rare T-bone steak. Stevens, a doctor for the British National Health who lives in Essex, has a blog called, appropriately enough, “Dead Drop.” He has written two earlier spy novels featuring an agent named John Purkiss that I look forward to reading. Severance Kill can be purchased from Smashwords or for Kindle from Amazon. This is not exactly John Le Carré but for what it is, it gets a full five nooses from this reviewer. Cliff Masters was working on a react piece to follow his exposé on the city’s new bus czar, Marshal Kent, when the copy kid Billy Stansfield stopped by looking for him. “Hey, Masters, the boss wants to see you, pronto,” Stansfield said. O’Malley’s, the saloon in the alley behind the newsroom where newspaper staffers drank while off-duty -- and sometimes while on -- was traditionally a sanctuary. The unwritten rule was, if an editor wanted to talk to a scribe, he had to wait until he either returned from the bar or went home. If Managing Editor George Hemmingsley was willing to send a copyboy looking for him there, it had to be serious. Cliff hurriedly saved the story he was writing and logged his terminal off, then picked up a notebook and headed to Hemmingsley’s glass cage at the front of the news room. He hesitated at the door but Sarah, Hemmingsley’s editorial assistant, waved him past. “You wearing your asbestos BVDs?” she whispered as he reached for the doorknob. Hemmingsley was sitting behind his desk, leafing through a wad of pink “While You Were Out” message slips. He was the only person in the plant who still used the damned things: everybody else sent instant messages over the newspaper’s Intranet. He looked up at Masters with a glare that would have peeled fresh paint. “You want to have a steward here for this?” he asked, his voice barely concealing his anger. Masters stiffened, but tried to look calm. The only shop steward he’d be able to find on short notice would be Ralph Christian, an editor for the weekly roto section; the reason Ralph would be available was because he never did any work: he spent all his time bullshitting people about the bosses and making sure nobody else in the unit ran for his union rep job. Because he was a perpetual candidate for firing himself, Christian would be useless in a disciplinary meeting. If reminding Hemmingsley of his past as a working stiff was intended to invoke his sympathy, it didn’t work. The editor went right to the point. “Had it been opened?” Hemmingsley said making a note on the pad. “The dates you included for all those moving violations and DUI stops?” Hemmingsley said, his tone making it a question. Masters was aware that his mouth was hanging open. He closed it without saying a word. Masters, his face ashen with shock, swallowed audibly. “Will I actually be doing any work?” he asked. He raised his shoulders in a gesture of resignation. “But if it turns out your story is wrong because you were negligent, we are going to have to let you go,” he said. With her hands spread flat on the table about a foot apart, exactly as she had been instructed, the woman in the Gucci suit sat silently, watching her host, a woman in flats, dark trousers and a sweater, her blond hair pulled back in a ponytail that was carelessly secured with a rubber band. The blonde’s slow breathing had a deep, ragged edge; with her slumped shoulders, her head tilting a bit toward her left side and her eyelids quivering slightly, it was almost as if she were in the lightest stage of dream sleep. The quiet rasp of her breath was just about the only sound in the meeting room and the space’s hush was almost as oppressive as its gloom. Alicia Cremmins, the woman in the Gucci, resisted an almost overwhelming urge to look at her watch. That would not only be a distraction but an obvious sign of disrespect. The blonde, whose name Alicia had been told was Mrs. Hathaway, was highly recommended and if anything could possibly come from this session with her, Alicia didn’t want her ill-concealed skepticism to interfere. Cremmins suppressed a sudden desire to clear her throat, just to remind the blonde there was still someone in the room with her. Almost as if in reaction, the blonde’s cornflower blue eyes opened and she looked directly across the table at Alicia. “Did you come here about your late husband’s estate, or the daughter you haven’t had any contact with for seventeen years?” Mrs. Hathaway asked casually, as though inquiring whether Alicia needed more sugar for the cup of tea sitting next to her right hand. Alicia’s mouth opened slowly in astonishment and hung that way. Cremmins’ hands were trembling as she fumbled the hard box of Benson and Hedges menthols out of her purse, put one in her mouth and lit it with the silver lighter that Francis had given her last year, about four months before his BMW stalled out on a blind curve along the Coast Highway and was hit from behind by an eighteen-wheel auto transport. She had been wondering when her husband’s lawyers would finish analyzing his will, but she hadn’t even realized it was at the back of her mind until Hathaway had mentioned it. Her primary reason for visiting the blonde had been to see whether she might be able to tell her anything about Cynthia, who had walked out of her life in 1994 after a quarrel over being placed on academic probation at Claremont. When it became obvious that Cynthia was serious about breaking off all ties, Alicia, ruing some of the things she had said during the argument, had asked her lawyer Ben Gladstone to try and find her. Gladstone, the head of the law firm her husband kept on retainer to handle his business affairs, had made a stab at it, even hiring a detective to try to track the young woman down. After six months, however, he told Alicia they hadn’t turned up a clue and further searching would probably be a waste of time, effort and money. Gladstone had died in 2002 and Walker, his partner, took over the practice. But in the years that had passed since Cynthia walked out, Alicia hadn’t had so much as a Christmas card from her – not even after her stepfather, Francis, died last year. She was considering tapping the ash from her cigarette into the saucer under her teacup when Hathaway entered the meeting room through the arched passage across the room and placed a wide ceramic ashtray before her. “If you don’t mind, I’ll join you,” the blonde said, sitting back down and using a match to light a Marlboro she drew from a box in one of her trouser pockets. “Pardon me if I seem somewhat hard-hearted, but it’s ironic, isn’t it?” she said with a slight smile as she exhaled a lungful of smoke. “What?” Cremmins asked, still bewildered by the blonde’s prescience and caught utterly off-guard by her question. Cremmins found her mouth hanging open again. She was too startled by Hathaway’s command of the details of her private life to take offense at the woman’s rather callous attitude about Francis’s death only a few short months earlier. How could she possibly know these things, Alicia thought. It’s bloody uncanny. “Dawn Cannon sent you to me, didn’t she?” Hathaway said, taking another drag on her cigarette and hanging her arm over the back of her chair casually. Score another completely unexpected insight for the blonde, plucked, like the others, out of thin air, Alicia thought. Cannon was Alicia’s closest friend. They had known each other since High School and Dawn had been her dorm-mate at Claremont until Alicia moved into an off-campus apartment with Francis during their junior year. At the door, she gave Alicia a tender kiss on the forehead. “Come and see me again when you are ready, dear,” she said. “Mrs. Hathaway” returned to the meeting room and stacked the teacups and saucers so she could carry them in one hand with the ashtray in the other. Randy caught up to her in the kitchen. The blonde smiled and lit another cigarette. She leaned against the drain-board and blew a thin stream of smoke into the air. Her real name was Cecilia Anne Crowder, but those who knew her best, like Randy Christianson, her current partner, called her Ceci. “You get it all?” she asked. “How did you figure out the stuff with the lawyers?” Ceci asked. “Well, nice work on that and the daughter,” Ceci said, taking another drag from her Marlboro. Randy grinned. “So – old fashioned deductive reasoning?” he asked.